As said above, the Wala performs beautifully in low wind conditions. 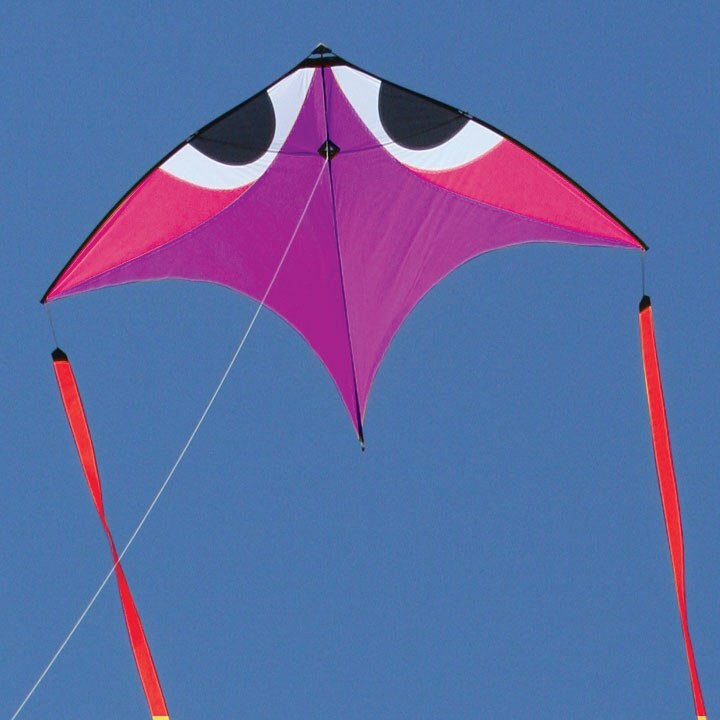 A word of caution: This kite does NOT like sudden gusts of wind stronger than 10 miles per hour. It will either be forced into a sideways flight or a nosedive. It can be turned around by running forward and giving it line at the same time, but that does not always work, in which case the kite will come down as far away from you as how much line you have out. So, don't fly it in gusty winds. It may perform fine in stronger winds that blow evenly, but I have not tested it in those conditions and can not comment on that. But the low wind performance is fantastic and it still flies in conditions when all other kites lie uselessly on the ground due to lack of wind. Be advised though, that I do not use the line it came with, since it has too much wind resistance and reduces the flight performance. Instead I fly with ultra thin, 15 pound test braided fishing line which has close to zero wind resistance and allows highly nuanced control of the kite, even if it is hundreds of feet up in the sky. I also use I high speed reel, which can very quickly release line and take it back in. This is necessary to keep the Wala from wafting out of the sky if it should lose wind when straight overhead. I also added my own customized bridle line and took some time to find the sweet spot that suits my style of flying best. With these modifications, I was able to effortlessly fly it as high as I wished in one to three MPH wind and it floated across the sky like a lazy goldfish in his pond. 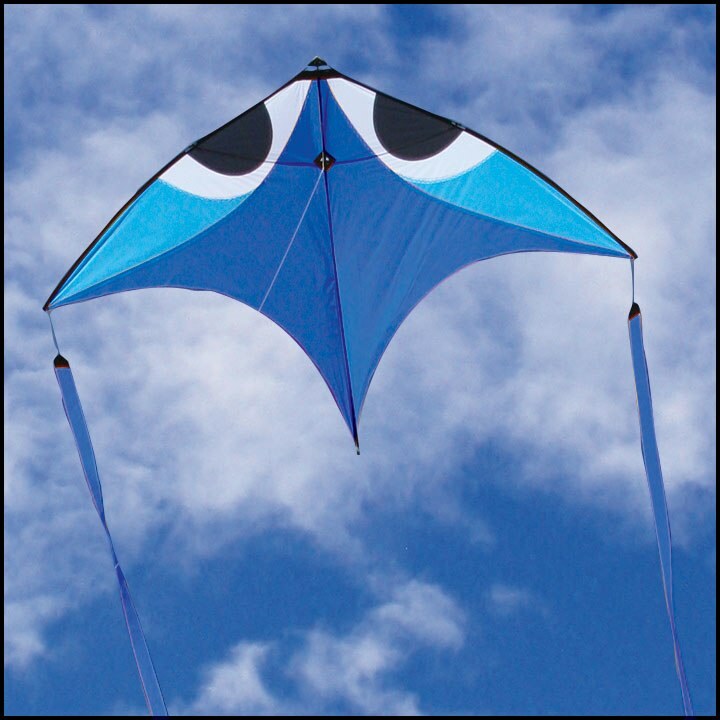 Since it is sold as a low wind kite, which it truly is, I give it 4 out of five stars. I just received this kite from Highline this week. I have purchased several generic kites from Toys R Us, etc. for my 3 1/2 y/o daughter and I to enjoy. They always had a very narrow windrange at which they flew and forget about it if the winds changed directions. So one night after trying to fly this shirt-on-a-hanger with my daughter an her friend, I found Highline, read Tom's review, saw a video clip on the Aerobe, decided to cut my losses and buy a decent low-wind kite. The setup was easy and versatile as wind dictates. Right away, in swirling, low winds, I was able to fly the Aerobe easily. To boot, I felt like I knew what I was doing. My daughter and her friend were able to fly it themselves with no issues and they now think I am Kite King. My wife even gave me the nod of approval as well. Now I can enjoy the experience and not be frustrated with flying. I will be purchasing at least one more as I am intrigued by "stacking". Thank you, Tom & Highline! "Tom's Notes" are right on about the Wala. Now to save up for one of each color! 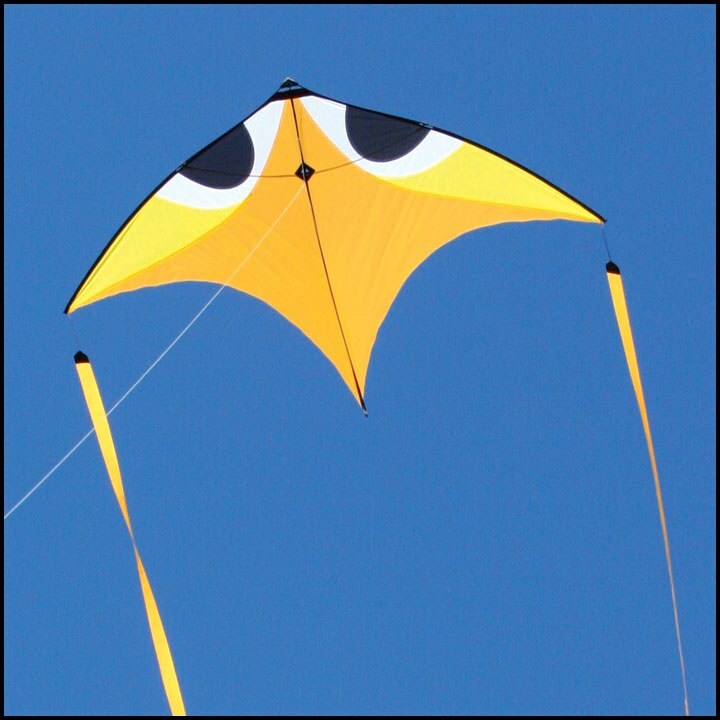 Click the button below to add the Aerobe Glide Kite (Wala), Yellow to your wish list.